wisdom for us to heed today in this world filled with so much shame, oppression and trauma that can dim the Spirit. 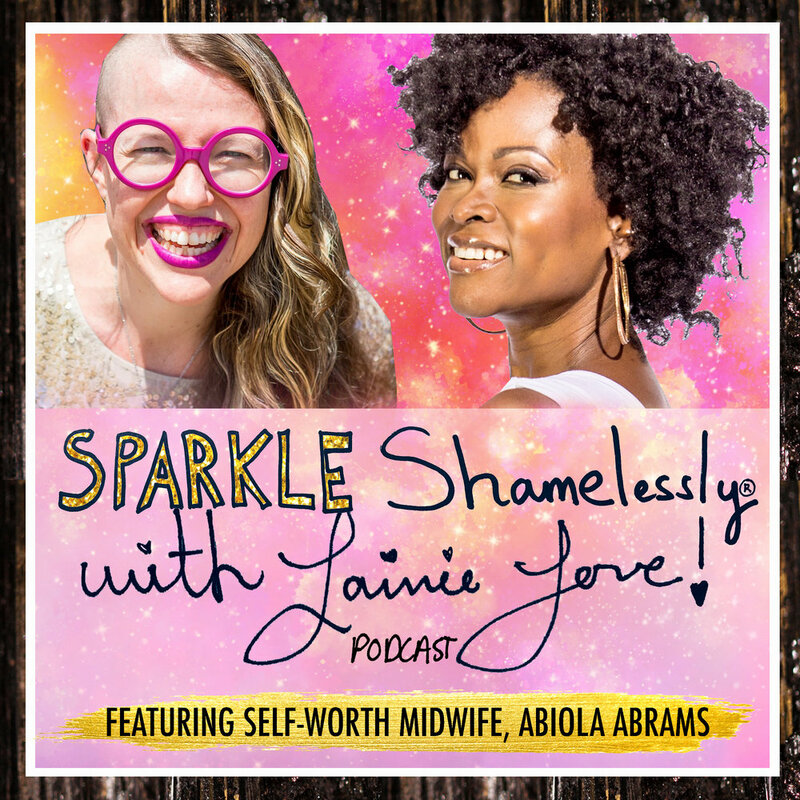 Abiola Abrams is a Spiritual Success Coach and Self-Worth Midwife that helps Visionary Women with the courage to be seen and heard to create movements around their BIG ideas. She’s also an award-winning motivational speaker, transformational author, and advice columnist who’s been featured on networks from MTV to the BBC, given talks and led transformational workshops from NYC to London, shared inspiration in publications from the DailyOm to Essence Magazine and held spiritual retreats from Bali to Belize. Overall she’s passionate about midwifing conscious women leaders to breakthrough! Episode 005: THE SPARKLE SHAMELESSLY ORIGIN STORY! Tami Brunk is a wholehearted empath that’s a fully Certified Shamanic Astrologer, an Active Dream Teacher and the co-founder of Venus Alchemy with Cayelin Castell. She’s also a powerful international speaker, writer, and teacher. Her passion is to marry the worlds of astrology and dreaming to accelerate the shift into a New Earth paradigm. She has changed the lives of thousands globally through Venus Alchemy and her Sky Apprentice Program as well as her Astrology for Earth Renewal E-Zine. An Earth Guardian from a young age, she brings special insight to her practice from decades as a field biologist, nature writer, naturalist and eco-activist. To follow her work, book a session, invite her to speak or facilitate a workshop find her on Instagram, Youtube, or at her website at www.astrologyforearthrenewal.com. Melissa Bee has spent her entire life exploring the boundaries of science, eco-psychology, and spirituality. The more she learns, the more she appreciates how blurry those boundaries can become. Whether she's working with children, families, adults, animals, plants, or the unseen energies of the natural world, she seeks to use the power of ritual to enhance our sense of sacredness in everyday experience. In addition to presenting and offering workshops, Melissa is the co-creator of the Sacred Isle of Bees and Creatrix of Aylatree. the importance of listening to your body, food and all elements of nourishment as medicine…. Liz Neves is the founder of Gathering Ground where she channels her love and passion for the natural world by introducing city dwellers to the healing plants that grow all around us. Inspired by herbalism, earth-based spirituality, and ancient wisdom teachings, Liz provides nature awareness, herbal medicine making education, mindfulness meditation and dream circles. Her favorite plant power is their ability to stimulate lucid dreams which she uses in her monthly dream circles. She’s also an active community member of the Pachamama Alliance and the founder of the Brooklyn, New York Community. With roots deep in the Amazon rainforest, the Pachamama Alliance programs integrate indigenous wisdom with modern knowledge to support personal, and collective, transformation that is the catalyst to bringing forth an environmentally sustainable, spiritually fulfilling, socially just human presence on this planet. 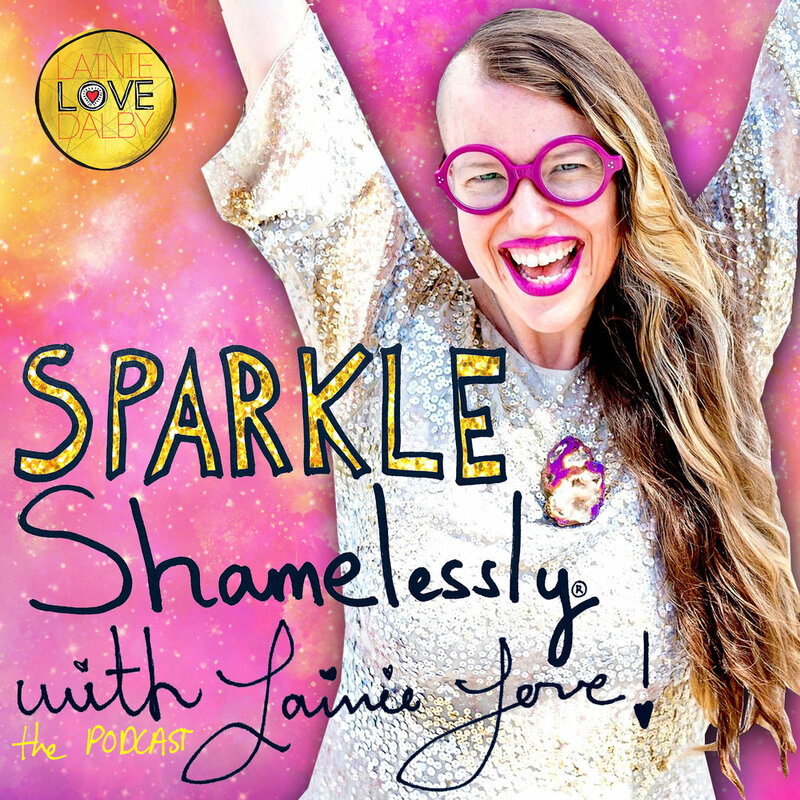 In this episode I’m in conversation with a dear soul sister who’ve I truly been in awe of since we met years ago, soul artist Laüra Hollick! In today’s interview we touched upon a number of juicy topics such as the creative imagination, homecoming, Divine union, the new feminine paradigm of women’s leadership and so much more. A rainbow dragon even makes an appearance! I can’t wait to share her medicine and #SOULSPARKLE with you!! !